A very professional company, the attention to detail was great and made the installation of my Beachcomber hot tub a joy. Can’t wait to get home today!!!. Thank you so much for the chemicals to help my sister pneumonia, that was so thoughtful…. We have been so pleased with the service and actions of you and Rick, so Thank you. The installation boys we also brilliant. It’s fair to say we are so glad we found you and would not hesitate to recommend you. We first met Pam & Rick from Swimming Pool Solution at The Malvern Show in May of 2016. There were a number of Hot Tub suppliers there, but we wound Pam & Rick to be the most helpful and least ‘Pushy’ of the people that we met. The idea of dealing with a local family run business was an added bonus. Four weeks after our meeting at the show we decided to go ahead and order a Hot Tub. 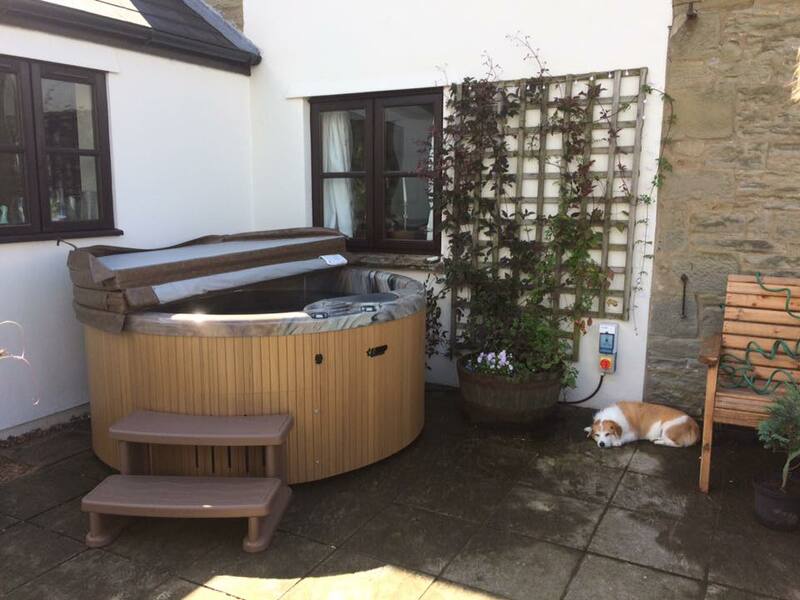 Pam honoured their ‘Show Offer’ as they still had the model of Beachcomber Hot Tub that we wanted in stock at their Ross showrooms. At this time we paid only the nominal deposit that was asked of us. 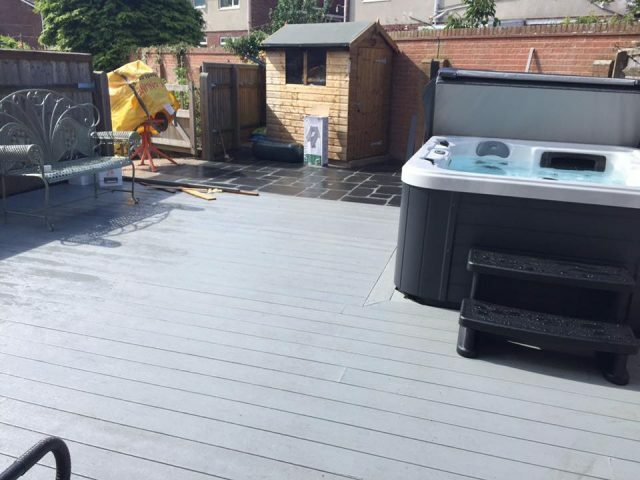 The siting of the Hot Tub was dependent on the building of a new patio area which we were having done. Initially this work was supposed to start in August, but in fact didn’t start until September, with the electrical work not completed until early November. 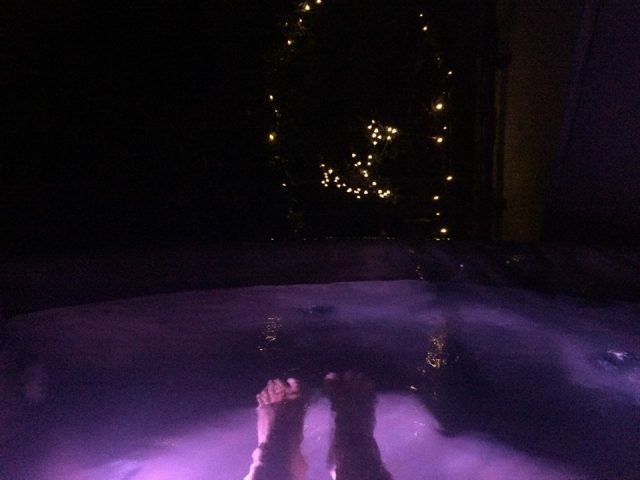 Only then could we accept delivery of the Hot Tub. Throughout all of this period Pam & Rick kept our tub in their showroom, and steadfastly refused to accept further payment. We found the delay quite embarrassing, but the pair kept telling us ‘not to worry’, just keep us informed of progress. Where else would you find a company that acted in such a considerate manner?! We have every faith that should we require any help or advice in the future. It will be forthcoming in the same cheerful, but still professional, manner that all our dealings have been to date. 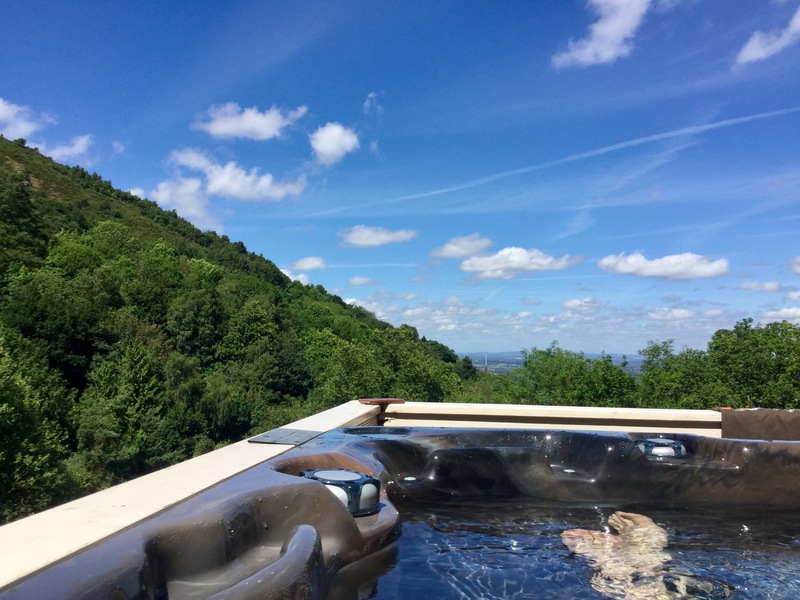 We would wholeheartedly recommend Swimming Pool Solutions of Ross on Wye. With Pam & Rick at the helm you will not find better. We had a personal recommendation to talk to these guys about what we were looking for and from the first moment we spoke to them we knew they were the company for us. No request too big or too small. There was no pressure selling and the important thing was to make a decision we were happy with. 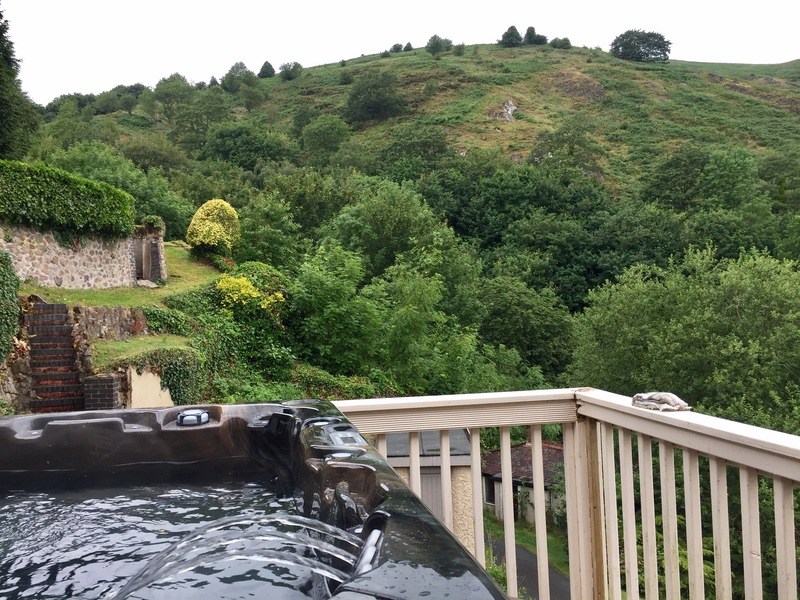 Advice from the outset was fantastic and we even had a trial hot tub session in their showroom to check out the tub we wanted. 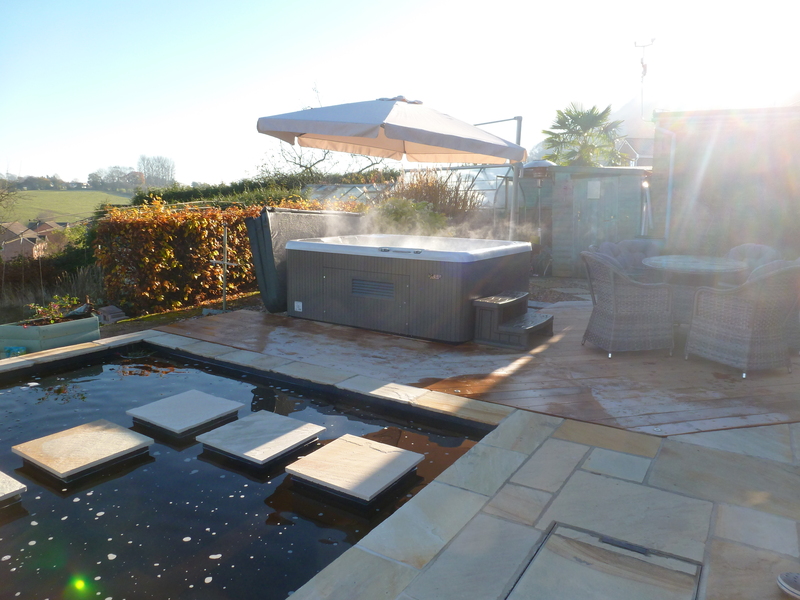 They were happy to keep it on site for us whilst we had the necessary works carried out to locate the hot tub at home. Absolutely first class company and kept in touch all the way through and will be happy to keep doing business with them in the future. You can’t go too far wrong with these guys. They know their stuff and have good knowledge about their products. Can’t recommend Rick, Pam and Gill highly enough!! Bring on the stars, the bubbly and the bubbles!!! We can’t rate Rick, Pam and team high enough – from start to finish the level of service and advice offered was fantastic. 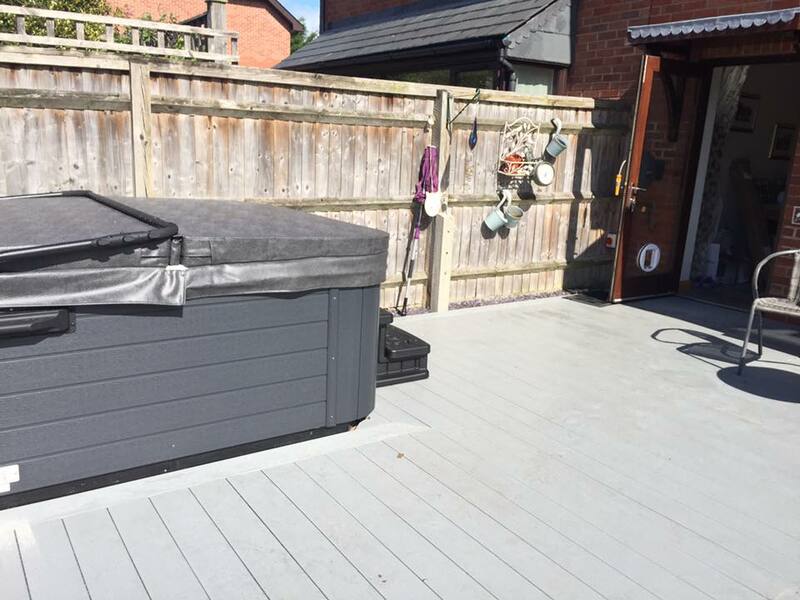 We also first found the company at the Spring show at Three Counties back in May 2016 – just over a year later, we’ve had a Beachcomber 715 installed. We spent a while pondering the decision and considering best locations in our garden – along the way Pam & Rick provided excellent advice and the ability to try the tubs out in a “wet test” was really useful (and fun)! Thank you for all your help, support and knowledge, the service you have provided has been second to none, highly recommended. Many a time the weather has suddenly turned hot and we found ourselves out of chemicals! A frantic call to SPS and a delivery is made within hours – and we live in the sticks!! A great company with very helpful and friendly staff who always manage to interpret my strange description of what we need – as I can never remember the technical names! The refurbishment of our pool is fantastic and nearly completed. Many thanks – you deserve to prosper!